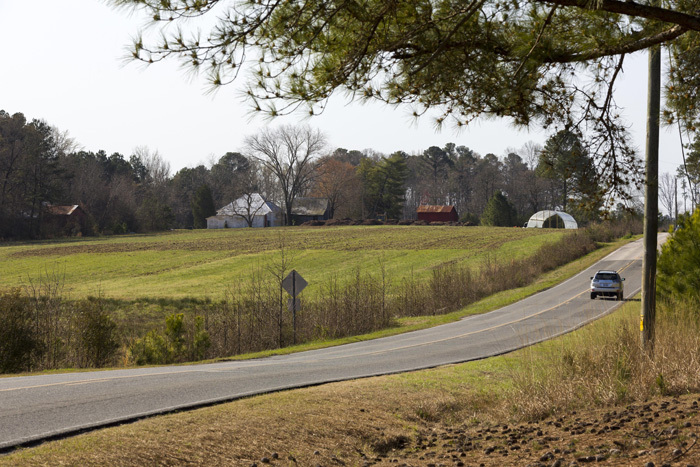 Good Hope Farm is located at the intersection of two major thoroughfares: Morrisville Carpenter Road and Louis Stephens Drive. Its urban location is close to residences, restaurants and regional farmers’ markets. It’s also across the street from a community garden in Carpenter Park where families can rent plots and grow their own food. 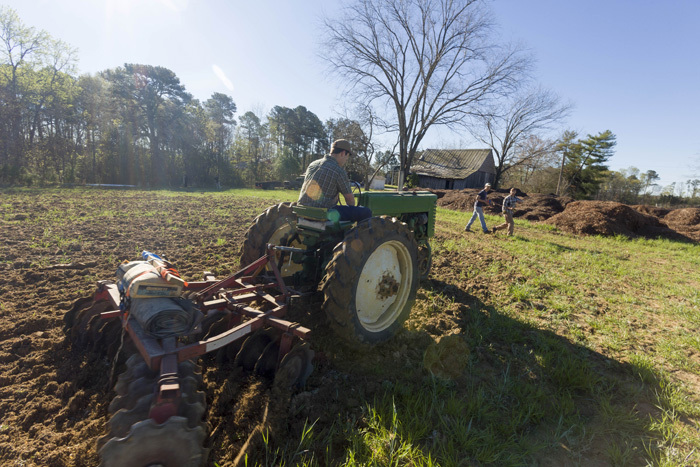 On a town-owned parcel in west Cary called Good Hope Farm, farmers prepare for spring planting. But they are also sowing the seeds of a unique business incubator. 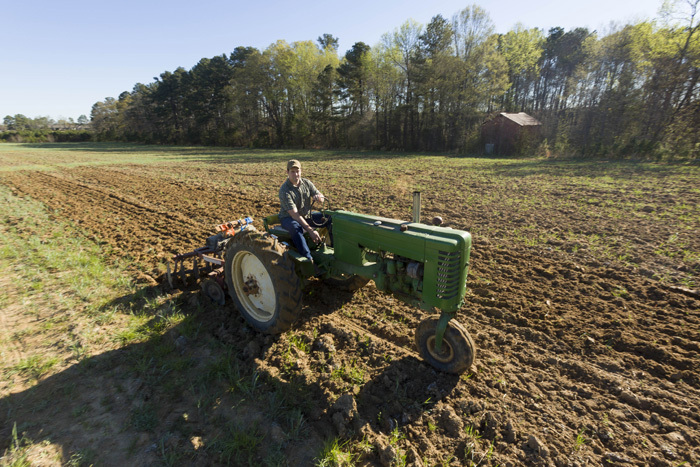 Triangle-wide, 63,500 acres of farmland have been lost since 1997, says Good Hope Farm project manager Erin Crouse, and more than 5,000 farms lost over the past 60 years. 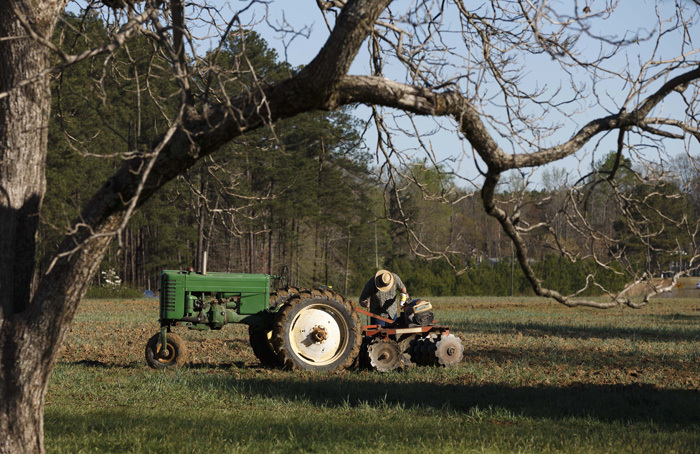 The town leases the 30-acre farm to the Piedmont Conservation Council, a nonprofit that promotes conservation and sustainable communities. 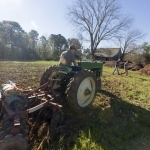 Three other nonprofits — The Conservation Fund, North Carolina Community Development Initiative, and the Conservation Trust for North Carolina — also support the project’s mission of local agriculture, historic preservation, and community education. 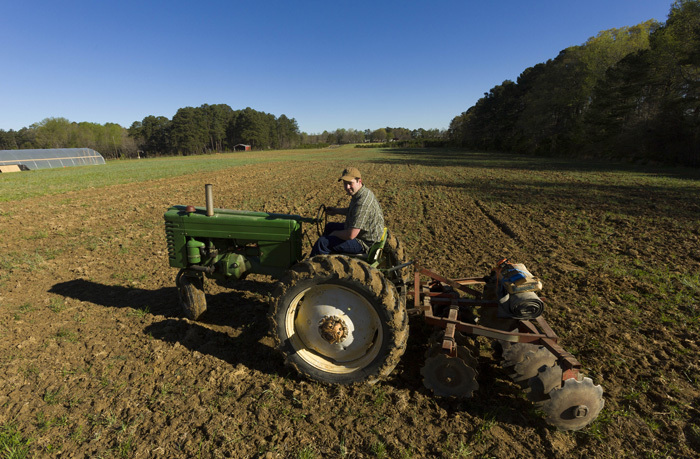 David Barbee, who grew up on a small farm outside Charlotte, pilots his tractor at Good Hope Farm. 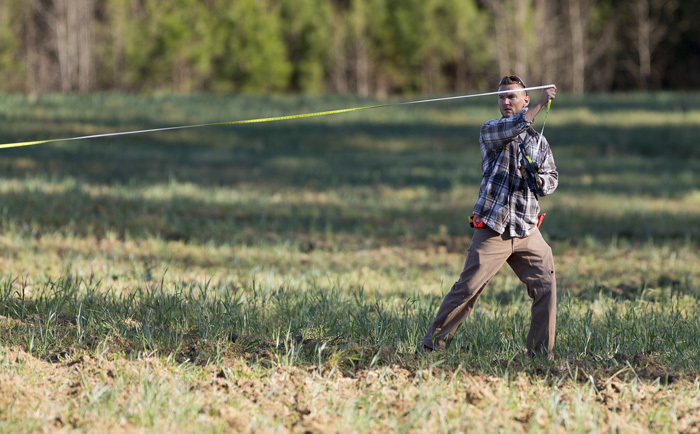 He plans to grow ginger and turmeric with his partner Michael Carpenter, and likes that the farm is close to consumers who value the aromatic spices. 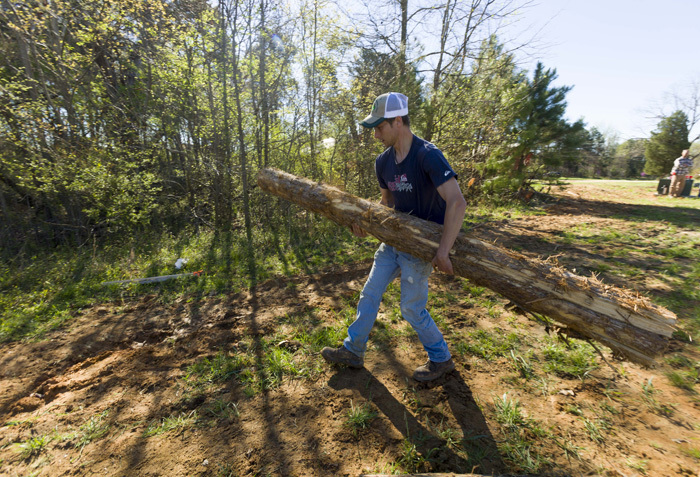 The property’s location, at the corner of Morrisville Carpenter Road and Louis Stephens Drive, is a strong selling point for the handful of farmers who have signed up so far. Several farmers’ markets, recreational spaces, businesses and lots of farm-to-table restaurants are nearby. 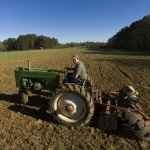 The farm is also conveniently located within walking distance of several subdivisions, containing educated, affluent consumers hungry for fresh, organically grown produce. 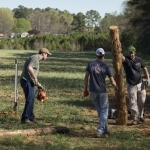 Farm manager Zeke Overbaugh helps build deer fencing at the farm. “I’m excited about this project because it means it’s becoming normal for towns and citizens to think about urban farming,” he says. 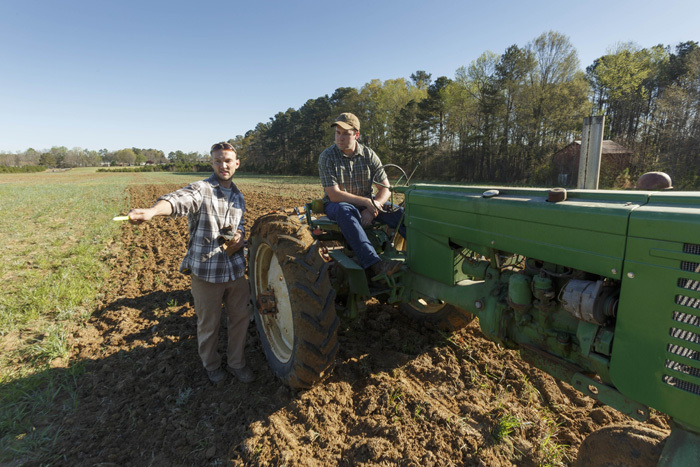 The Cary native has been farming for about five years, learning the trade at the Interfaith Food Shuttle Teaching Farm. He’s built relationships with local chefs, discovering what crops they find most desirable: cherry tomatoes, specialty peppers, kale, arugula, lettuce and golden beets. David Barbee and his business partner Michael Carpenter, both engineers at research institute RTI, are also counting on local demand. They plan to grow ginger and turmeric for pan-Asian cooks who value the aromatic spices, and fitness buffs who seek the plants’ medicinal qualities, especially the powerful antioxidant found in turmeric. 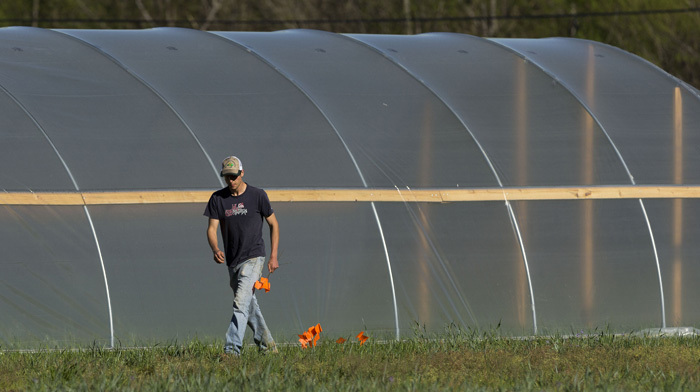 “There’s a pretty good market to sell those crops into,” said Barbee. 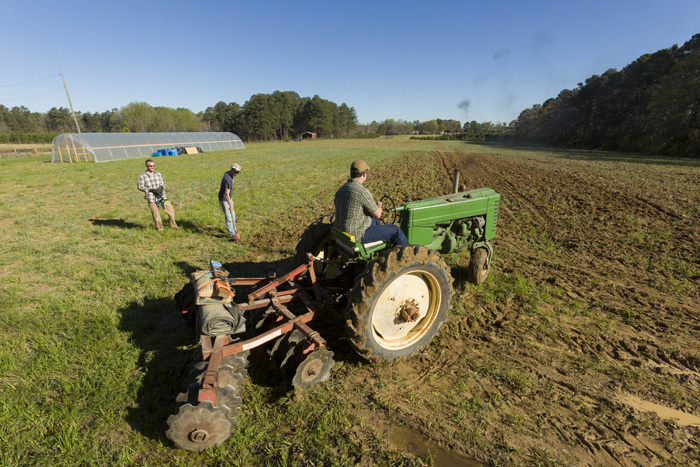 Other selling points for the project include shared use of farm equipment, infrastructure such as irrigation and fencing, and the option to sell produce on-site. The farmers expect to have vegetables available this summer, with ginger and turmeric by November. 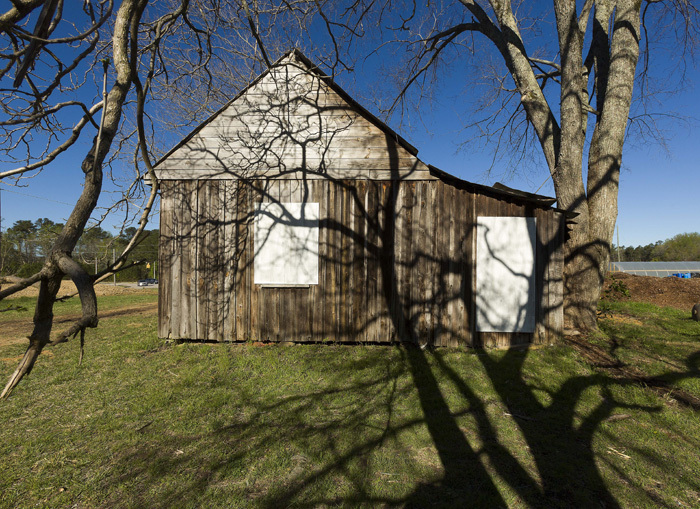 This schoolhouse dating to 1890 was moved to the property after the land was purchased by the Town of Cary. 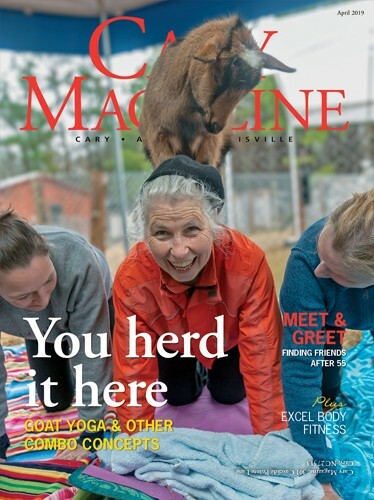 Sarah Justice, environmental outreach program coordinator for the town, stresses that visitors should come to the farm only during supervised workdays. It is a historic farm, and hasn’t been kept in pristine condition. “We want to make sure we serve our citizens, but also protect the citizens’ safety until everything is up and running,” she says. 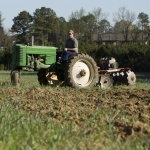 Roughly 20.5 acres of the farm site is available for cultivation. On the rest of the property, historic buildings stand ready to be renovated, once funding is secured. These structures will welcome visitors interested in knowing more about tobacco farms and how they shaped the area’s economy. 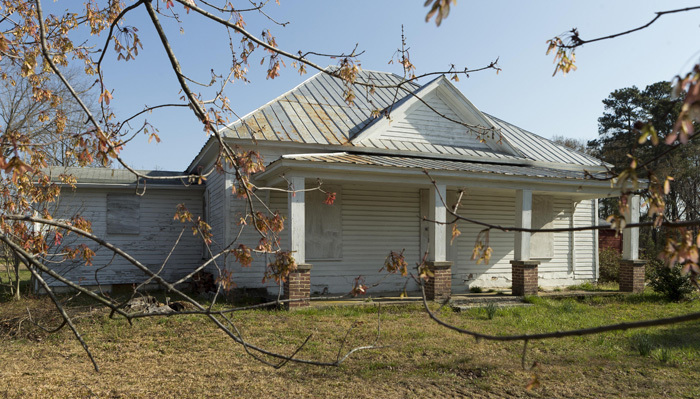 Built in the early 1910s, the historic farmstead includes a one-story frame house, two tobacco curing barns, a pack house, and several other outbuildings. The site is in the Carpenter National Register of Historic Places. 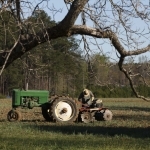 A.M. Howard bought the land in the ‘30s and farmed there until 2006, when the 46-acre property was sold to David Ferrell, whose family owns nearby Green Acres Farm. 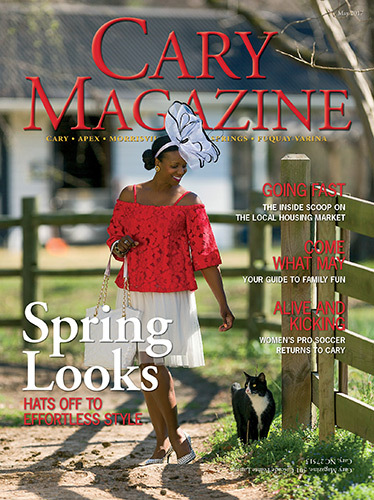 In 2007, during the economic downturn, the town of Cary bought the land and the historical structures for $6.5 million in order to protect it from commercial development. The farmstead, including the one-story dwelling, was built in the early 1910s. Once the building is renovated, the town hopes to have classes on nutrition, canning and food preservation, and other subjects. Sixteen acres located south of Morrisville Carpenter Road became Carpenter Park. In August 2016, the Cary Town Council agreed to lease the remaining 30 acres to the Piedmont Conservation Council. 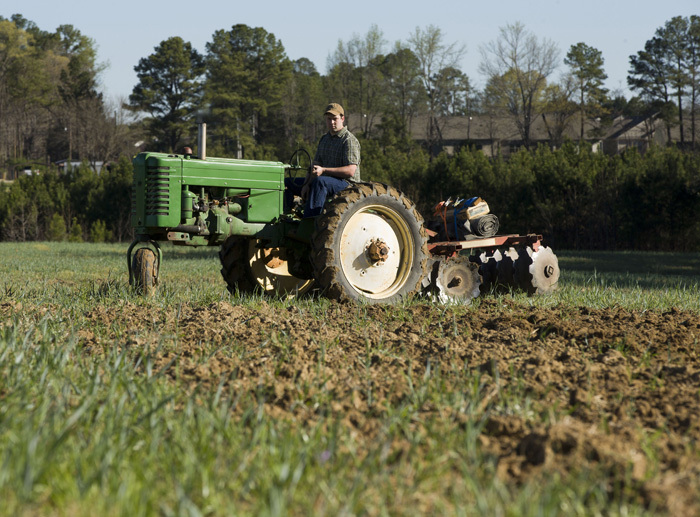 Cary councilwoman Jennifer Robinson, an early proponent of preserving the land, wanted to honor the community’s agrarian past and ensure families would be able to experience farming firsthand. The educational component of Good Hope Farm has already borne fruit. 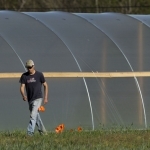 Earlier this year, a workshop was held to build a high tunnel where seedlings would be started. Participants learned how to build the greenhouse-like structures and gained useful hands-on experience. 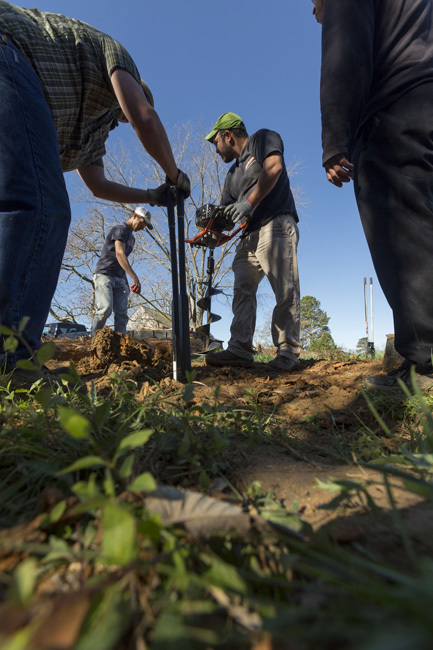 In November, a workday was held to plant heirloom apple, pear and fig trees. 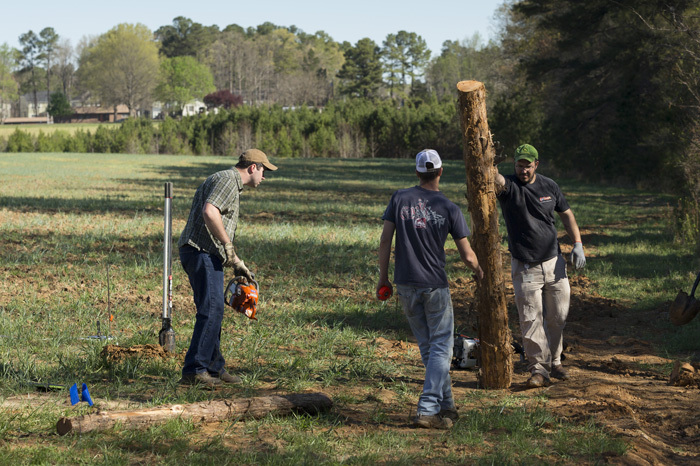 Cary native Michael Carpenter, center, digs holes for a deer fence at Good Hope Farm. The avid gardener keeps chickens and bees, and has grown ginger and turmeric for years. “It was delicious, then I found out it was useful medicinally,” he says. Plans are in the works for an educational garden or edible landscaping, she says, perhaps as soon as this fall. Once the historic buildings are renovated, Justice says the town plans to hold nutrition classes, agricultural-based programming, and demonstrations on topics such as canning and traditional dyeing methods.